Home / getaway / hotel / road trip / travel / TravelBook.ph / weekend / Travel | Road Trip or Weekend Getaway, What's Your Choice? Travel | Road Trip or Weekend Getaway, What's Your Choice? October is almost here and we’re sure you would want to end this year on a high note. But before you schedule those overtimes, year-end meetings, and that one last push to meet your targets, it wouldn’t hurt to book a quick getaway to prepare you mentally for the final grind. Take your pick from our staycation, road trip, and weekend getaway hotel options. Alabang and Aseana are highly-recommended. cozy beds, cable TVs, Wi-Fi connectivity, power showers, and workstations. For your staycation, you will definitely enjoy the surroundings of the Hop Inn Hotel of your choice―Hop Inn Hotel Alabang is just less than a kilometer away from Alabang Town Center, while Hop Inn Hotel Aseana and casinos like Solaire, City of Dreams, and Okada Manila. If you are looking for accessibility, warm and professional service from hotel staff, and reasonable value for money, these Hop Inn Hotels are for you. 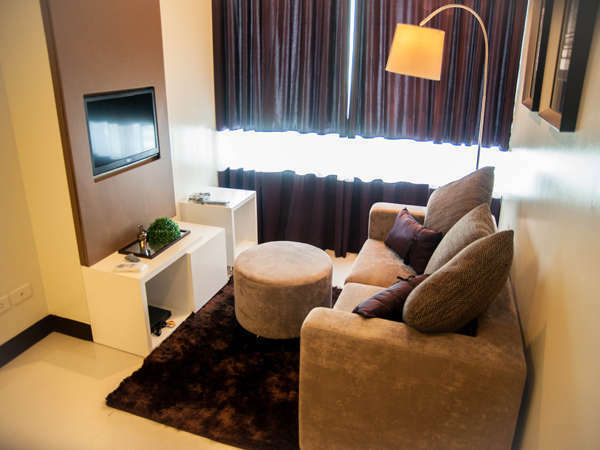 Versailles Stay offers a selection of posh and stylish, fully-furnished one-bedroom suites in the Makati Business District. It is in the middle of the city’s skyscrapers, making it ideal for business travelers. For staycationers, they can take advantage of its short distance from coffee shops and convenient stores. Guests can enjoy the use of its swimming pool, gym, spa, game room, and mini theater during their stay. Get up to 40% off on Superior Room when you book and check-in until October 30, 2018. 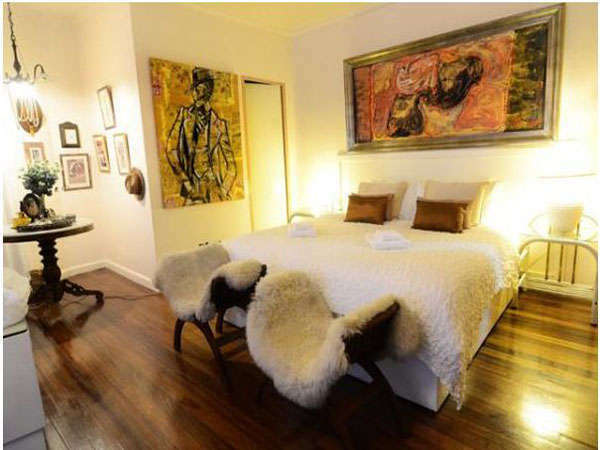 Casa Amapola is a unique, Argentine tango-themed bed and breakfast in Makati City. 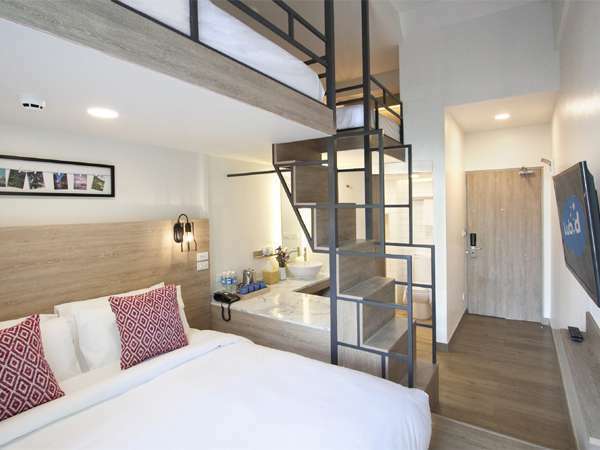 How it encapsulated both luxury and affordability easily sets apart this property from most standard hotels. The elegance and classiness of tango can be felt in the ambience of every room. If you’re interested, you can inquire about learning tango in their in-house dance studio. Indeed, Casa Amapola is for everyone who believes in joie de vivre, a French phrase that means “the joy of living”. 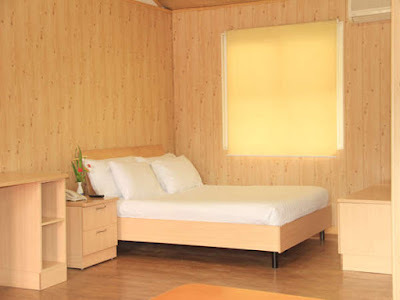 Affordable room rates are available for as low as PHP 2,200.00/night only. The newest and largest hostel in the country is now in the heart of the metro! 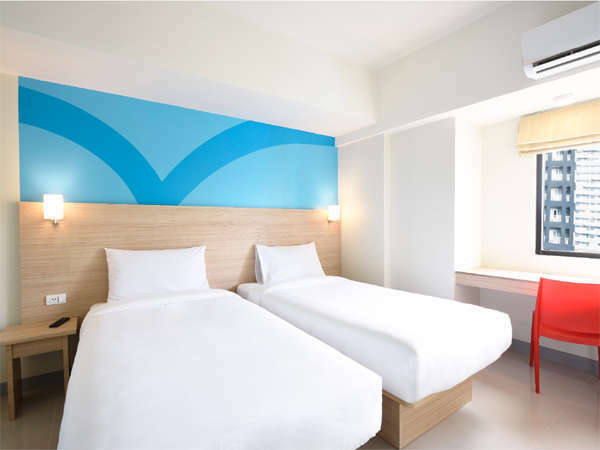 Lub D Philippines Makati is best for staycationers who want to have fun! Enjoy their well-designed rooms and deli bar while staying in. You can also hang out at the rooftop restaurant and bar with creations from their very own chef. Priced at only Php. 3,714.00/night, their Family or Barkada Room is good for 4 persons. Residences guarantees plush, modern living every time you visit this cool city. 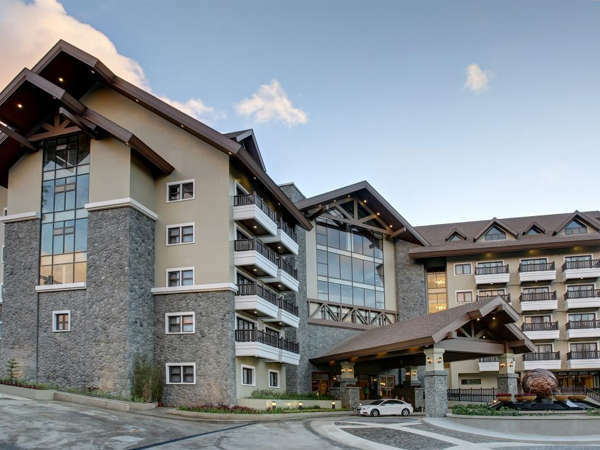 The hotel takes pride in its versatility suited to all types of travelers. They have 99 well-appointed luxury suites that are perfect when you want that utmost relaxation. You can also dine and chill in their in-house bar lounge aptly called “Eight Degrees,” which serves appetizers and light snacks. 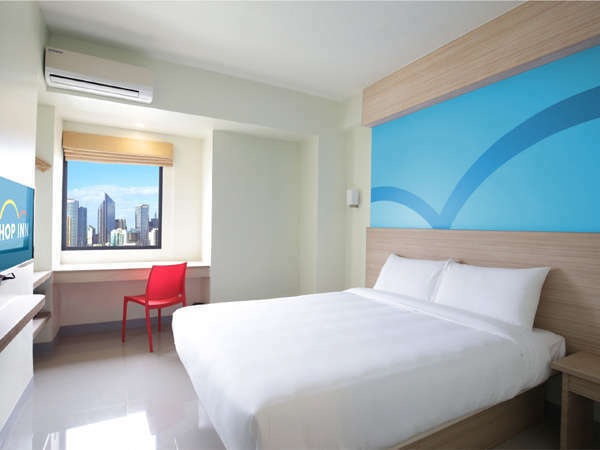 For business and corporate travelers, function rooms are also available. Get up to 40% off on Superior Room when you book and check-in until September 30, 2018. A 100-hectare destination in Nasugbu, Batangas is a sanctuary for travelers. Chateau Royale Hotel Resort and Spa takes pride in its spacious area and events hall that can accommodate up to 3,000 persons. Since peak season is still months away, you can have this resort all to yourself when you book as soon as possible. You can make use of their outdoor pool, game room, garden, bar and lounge, and many more. Book their Cabin Deluxe for only PHP. 4,253.50/night. 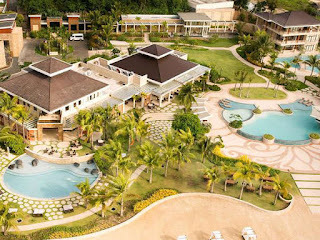 The world-class Misibis Bay in Albay is highly sought-after by travelers who want exclusivity and relaxation at its best. There are so many things you can do in this private island resort: lounge by the pool, pamper yourself in a spa, or try their exciting activities like riding an ATV, windsurfing, Hobie Cat sailing, kayaking, stand-up paddling, jet skiing, and wakeboarding. Avail Misibis Bay’s Early Bird Promo―get 12% off when you book 90 days prior to check-in date. If you want to check out a new city, you may want to see Butuan in Agusan del Norte. While there, Butuan Grand Palace Hotel is the best place to stay at. The hotel provides everything a traveler needs: comfortable guest rooms, luggage service, meeting facilities, concierge services, free Wi-Fi, free airport shuttle, and many more. They also offer fine dining, free chair massage, an impressive art collection for viewing, and an outdoor pool. 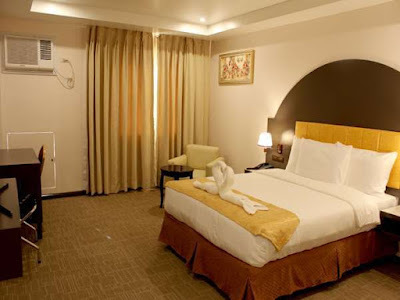 Butuan Grand Palace Hotel definitely ensures that you experience total comfort and enjoyment while in Butuan City. Book their Deluxe Queen Room with Buffet Breakfast for only PHP. 4,851.00/night. The above rates are offered exclusively by TravelBook.ph. You can book via www.travelbook.ph or through the mobile app. Download it now on Google Play or iOS.